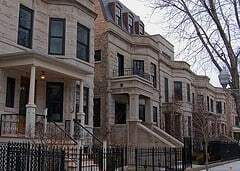 Blackstone Buying Homes in Chicagoland Area | Fournier Law Firm, Ltd.
You may have noticed that homes in your neighborhood were being purchased at an increased rate. If so, Blackstone Group may be moving into your neighborhood. This investment firm has been buying distressed homes in neighborhoods throughout the Chicagoland area and then renting those homes. More than 1,300 homes in Cook County were purchased by Blackstone last year. Initially thought of as a great investment in the area, some are rethinking their initial views of Blackstone’s interest in our neighborhoods.